Chase Ultimate Rewards is a competitive alternative to American Express Membership Rewards. With Chase Ultimate Rewards and a premium card like the Chase Sapphire Preferred, you can transfer points 1:1 to airline and hotel transfer partners. We'll talk about them below. If you use any of the above travel partners, you must check out the latest Chase Sapphire Preferred promotion. Chase's Ultimate Rewards is one of our favorite travel reward programs. No doubt its most valuable feature is the ability to transfer points on a 1:1 basis to popular travel loyalty programs. This allows you to use your points at a much higher value than other redemption options. Beware: not all travel partners are equal. In fact, some transfer redemption values are downright terrible (which you'll learn about). It's not easy to play the air miles game. It requires a lot of research and making smart choices. If you're a beginner, we know how confusing it is. Too bad Chase doesn't come with a guide on how to best use their transfer partners. This is where this article comes in. We analyzed each of Chase's transfer partners and came up with the best way (and probably more important - the worst way!) to use them. Read on to learn how to get the most value of out of your UR points. Use the airline transfer partners wisely. For domestic travelers, use United, Southwest, and JetBlue. For international travelers, access Star Alliance, OneWorld and SkyTeam by using the right transfer partners for the right route. We'll discuss below. 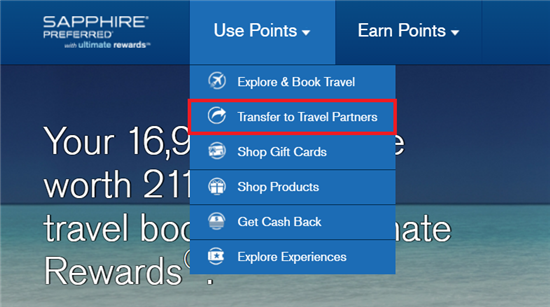 Keep in mind, not every Chase Ultimate Rewards credit card allows you to transfer points to transfer partners. 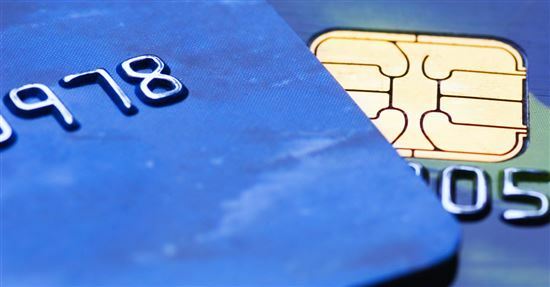 Use the best Chase credit card. 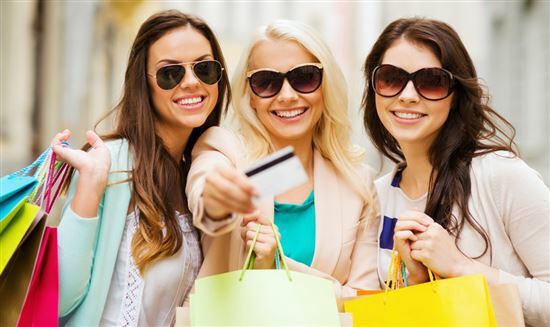 For consumers, consider the Chase Sapphire Preferred. For business owners, consider the Chase Ink Preferred, which also offers the ability to transfer points 1:1 to airline and hotel transfer partners. Transferring your Ultimate Rewards points to one of the airline or hotel partners is easy. Log in to your Ultimate Rewards account. If you have more than one UR card, select the card that allows you to transfer points. You can also combine your points between your Ultimate Rewards cards. If you have one of the no-annual-fee cards, you can combine your points from that unto one of the premium cards. You can only combine points from cards that belong to you or a spouse/domestic partner. At the top, you'll see a menu of options of ways you can use your points. Click on "Transfer to Travel Partners". You'll then be taken to a list of the transfer partners. All you need to do is select the one you want to transfer points to, enter in your member ID, and how many points to transfer. Besides transferring points, here are some other ways to use your Ultimate Rewards points. Book travel on the Chase travel portal. Chase has a travel portal where you can book flights and hotels with your points. With the Sapphire Preferred or Ink Business Preferred, your points are worth 25% more value (10,000 points = $125). With the Sapphire Reserve, your points are worth 50% more (10,000 points = $150). Is it better to transfer points or to book travel on Chase? With the points discount, sometimes, that could be a better deal than transferring to partners. Especially if you can find a cheap Economy flight. For example, let's say there's a round-trip flight from Los Angeles to London during low season for just $500. With the Sapphire Preferred points discount, this would only cost 40,000 points (and 33,334 points with the Reserve). Compare that to transferring, where a round-trip to Europe would cost 60,000 miles with United. Generally, transferring points is better when the flight/hotel cost is high, it's an expensive long-haul international flight, or for business/first class seats. Get cash back. You can use your points for statement credit or direct deposit into your bank account. But the value is only 1 cent each (10,000 points = $100). Exchange for a gift card. You can exchange for a gift card to select store or restaurant at the rate of 1 point = 1 cent. This option isn't even as flexible as straight up cash back. Buy an experience. Chase offers unique experiences to premium cardholders, like private dining with a chef and concert packages. The redemption rate depends on how much you value the experience. Read on to see why transferring points to travel partners is often the best value. 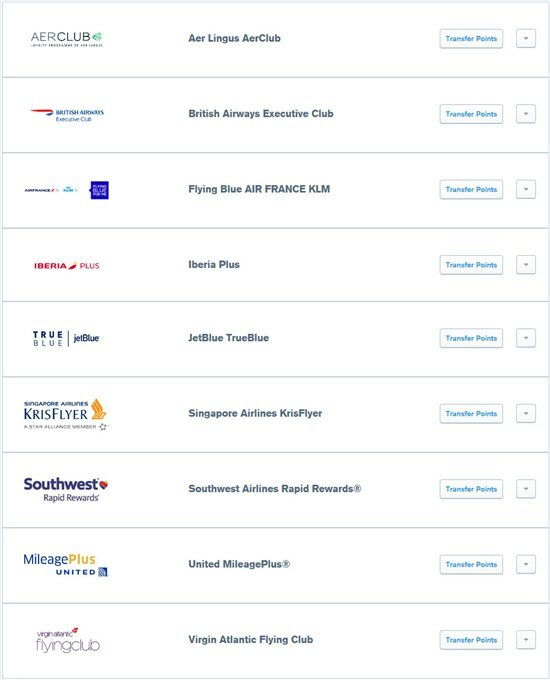 Chase has 9 airline transfer partners. We'll do a run-down of each. Note: Redemption options and values can change at any time. 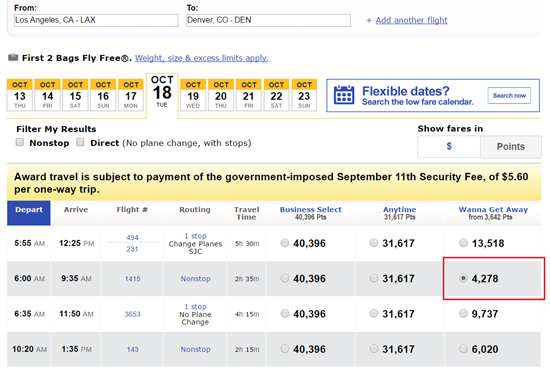 Do: One good thing about United is that it never charges a surcharge, not even on partner airlines. Your overall trip starting and end points must be in the same region (for example, United States). You must be traveling to an international destination (for example, Europe). You get one free leg within that international region (for example, from London to Paris). At the end of the trip, you can return to a different city from your starting point, as long as its in the same region. Essentially, this is giving you one free leg in your destination region and one open-jaw when you return. Terms and conditions apply. Example: Let's say you want to go from Boston to London, then London to Paris, and then come back and visit New York for a few days. The leg from London to Paris will cost no additional miles. You can also return to a different place within your starting region. The total trip will cost the normal round-trip mileage to Europe (which is 60,000 miles). Don't: Redeeming points on United for business and first-class tickets are often higher than other airlines, so that's not the best use of your points. See United's interactive awards chart. Did you know: You can use United miles to book award travel on Star Alliance partners such as: ADRIA Airways, Aegean Airlines, Air Canada, Air China, Air India, Air New Zealand, ANA, Asiana, Austrian, Avianca, Avianca in Brazil, Brussels Airlines, Copa Airlines, Croatia Airlines, EgyptAir, Ethiopian Airlines, EVA Airways, LOT Polish Airlines, Lufthansa, SAS, Shenzhen Airlines, Singapore Airlines, South African Airways, SWISS, TAP Portugal, THAI, and Turkish Airlines. Do: Use this transfer partner to book flights within the U.S. The value is especially good on the Wanna Get Away flights, with many routes as low as 4,500 points one-way. And you don't pay any taxes or surcharges for domestic flights either, except for the $5.60 Security Fee in each direction. Southwest also offers very low rates to Mexico, Costa Rica, Puerto Rico, and the Caribbean for a bit more in taxes. 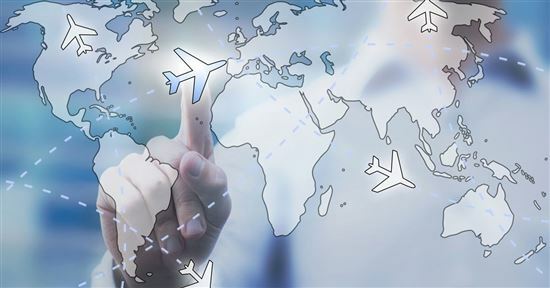 Do: Find flights at great value within the U.S. and surrounding areas. You can book any JetBlue flight with TrueBlue points, with no blackout dates or seat restrictions. In general, we estimate each TrueBlue point to be worth about 1.4 to 1.5 cents on average. This means that 10,000 points could be redeemed for a flight that costs around $140 - $150. Flying Blue no longer has a region-based award chart. Now, their award program is cost based. This may mean good news on some routes. Do: You can get cheaper routes to fly to Europe from the East Coast. For example, it can be as low as 21,500 miles to go one-way from JFK to London (instead of the 25,000 miles it used to be). It's also possible to fly one-way from the U.S. to Hawaii for as low as 17,500 miles. This is as little higher than what you can get with some other airline awards, but still good value. Flights to the Caribbean and Mexico can also be found for around 30,000 miles round-trip. Flying Blue releases promo awards at the start of each month, where you can snag great deals for certain routes. You get discounts from 20% - 50% off. For example, in August 2018, there's a promo deal from Paris to New York for just 11,000 miles one-way. Don't: It's hard to say exactly how much miles will cost with the new award system. It only gives you a minimum points cost, so it could cost more. It may take you a while to figure out the best day and route that would result in the least miles. Use the Flying Blue Miles calculator. 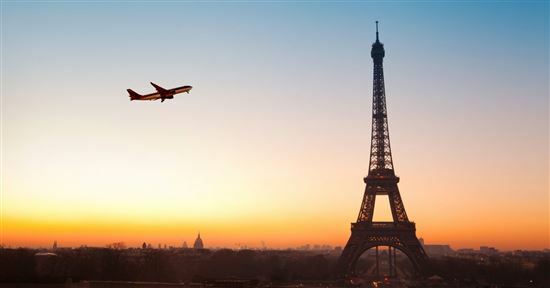 Did you know: You can use Air France to book award travel on SkyTeam partners such as Aeroflot, Aerolíneas Argentinas, Aeromexico, Air Europa, Alitalia, China Airlines, China Eastern, China Southern Airlines, Czech Airlines, Delta Air Lines, Garuda Indonesia, Kenya Airways, KLM, Korean Air, Middle East Airlines, Saudi Arabian Airlines, TAROM, Vietnam Airlines, and Xiamen Airlines. 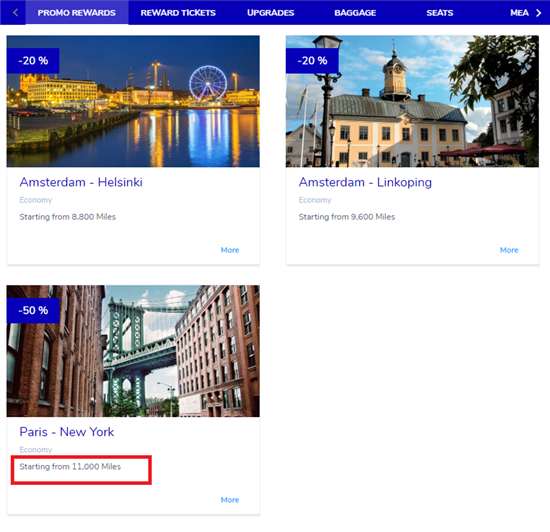 Do: If you're on a European vacation where you'll be hopping between countries, use Avios to find short flights within Europe at a great transfer rate. A lot of popular routes only cost 4,500 Avios points one-way with no fuel surcharge. In general, short nonstop flights with Avios won't incur high fuel surcharges. Domestic travel within Japan (on Japan Airlines), Asia (on Cathay Pacific), and Australia (on Qantas) can be great value with very low extra fees. Don't: In general, you'll be hit with potentially hundreds of dollars in fuel surcharges when flying long-haul on Avios (which negates the whole purpose of using points! ), EXCEPT when you fly with American Airlines (within the western hemisphere), LAN, Aer Lingus, and Air Berlin. Tip: If you want to use Avios to fly from the U.S. to Europe, use Air Berlin as you won't be charged hundreds in fuel surcharges. Use the British Airway Avios calculator. Did you know, you can use British Airways to book award travel on OneWorld partners such as airberlin, American Airlines, Cathay Pacific, Finnair, Iberia, Japan Airlines, LAN Airlines, Malaysia Airlines, Qantas, Qatar Airways, Royal Jordanian, S7 Airlines, SriLankan Airlines and TAM Airlines. If you do want to travel to Europe with less fuel surcharges, Chase recently added a couple of more transfer partners: Iberia Plus and Aer Lingus AerClub. Both also use Avios, though they are all separate programs from British Airways. You can transfer Avios between the programs. In this sense, these transfer partners aren't really "new," but it does save you the hassle of making the transfer yourself. Iberia, a Spanish carrier, offers better options to get to Europe. British Airways has very high surcharges for flights to Europe. It likes to route you through London, and you will immediately have to pay the high airport fees. You can reduce a lot of this cost by using Iberia instead. With Iberia, you'll route through Madrid and save hundreds on fees and taxes. You can find some great deals going to Spain. For example, the Iberia Avios calculator shows only 34,000 Avios to fly round-trip from Madrid to New York. Use the Iberia Avios calculator. Do: Aer Lingus is an Irish airline with flights between major cities in United States and Ireland. You can find some amazing deals during off-peak season. For example, you can go from Dublin to Chicago for only 13,000 Avios one-way in Economy. Aer Lingus flights does have a fuel surcharge, but it is nothing compared to that of British Airways'. See the AerClub award chart. Do: Singapore Airlines also allows one free stopover on a round-trip Saver flight (or 2 free on a Standard Award flight), which will allow you to visit a new destination. For example, you can go from Los Angeles to Australia, with a stopover in Tokyo, for 55,000 miles in economy. If you want the ultimate first-class experience, you can't ask for better than flying on Singapore Airline's luxurious A380 Suites (the first double-bed in the sky!). A favorite route for travelers is from New York to Frankfurt (8 hours of airtime) for 76,000 points. Or you can go from Singapore to Tokyo to Los Angeles (18.5 hours of airtime) for 118,000 points. Note: Note: Krisflyer made some changes to its frequent flyer program recently. There was an award devaluation where many routes saw increased award prices. It also discontinued the 15% discount for booking online. However, the surcharges for all Singapore Airlines and SilkAir operated flights have been removed, which helps to offset some of these negative changes. Don't: In most cases, there are still high surcharges on partner flights. In general, you'll be hit with high surcharges on international long haul flights, EXCEPT for flights with Air New Zealand, Copa, Avianca, and TACA. See Singapore Airline's award chart. Do: Booking domestic partner flights could be a good value. For example, you can fly domestic within Japan (on All Nippon Airways), Australia (on Virgin Australia), New Zealand (on Air New Zealand), and South Africa (on South African Airways) for 15,000 or 20,000 points round-trip. Don't: Aside from that, in general, Virgin Atlantic is not the best transfer program. Virgin Atlantic itself pretty much only flies to/from the UK, and they tack on heavy fuel surcharges to their award flights. So we don't recommend using it for international travel. Stick to their partners. See Virgin Atlantic's award chart. Certain Chase cards offer a discount when booking with points on the Chase travel portal. So sometimes, booking through the portal will get you a better deal. Chase Sapphire Preferred and Chase Ink Preferred get 25% more value when using the Chase travel portal (10,000 points = $125), whereas the Sapphire Reserve get 50% more value (10,000 points = $150). If you can find a really cheap flight, it could be better than transferring to partners. For example, let's say there's a round-trip flight from Los Angeles to London during low season for just $500. With the Sapphire Preferred points discount, this would only cost 40,000 points (and 33,334 points with the Reserve). 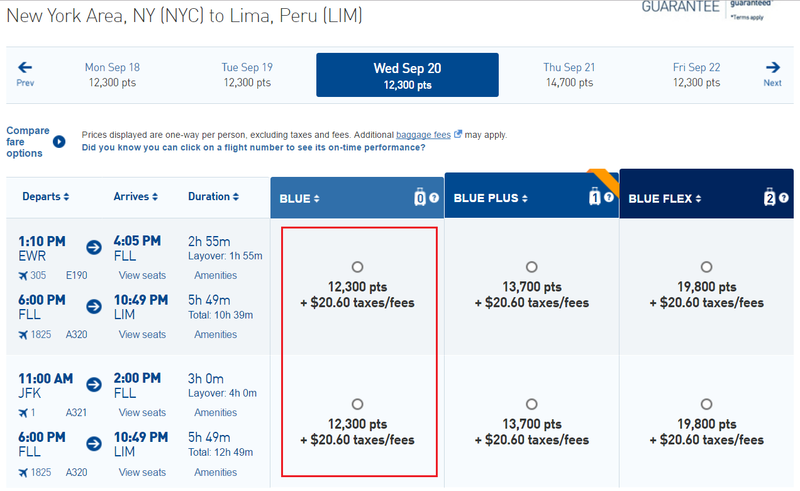 Compare that to transferring, where a round-trip to Europe would cost 60,000 miles with United. It's always smart to check the portal too when booking a flight. Plus, since the portal converts a cash price into points, there are no award fees. When redeeming with airline frequent flyer miles, there may be other taxes and fees. We'll say this now: In general, we don't recommend that you use hotel transfer partners if you're looking to get the most value from your points. The EXCEPTION is Hyatt, which is one of the best uses of UR points. Redeeming for free nights at Hyatt starts at just 5,000 points/night for a Category 1 Standard Room, while a night in a Category 7 hotel will cost you 30,000 points. You also have the option to pay in points and cash, which is great if you want to save some points. You can also use points to upgrade to a Club room (for 3,000 points per night) or a Suite (for 6,000 points per night). Do: In general, we find that redeeming points for Hyatt free nights is a great value. Their awards are well priced and the transfer makes for a great points conversion most of the time. 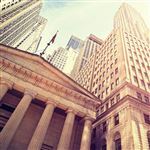 For example, a room in the Andaz 5th Avenue in New York (a Category 6 hotel) costs $525/night, or 25,000 points (each point is worth over 2 cents). Tip: Oftentimes, the cash and points options gives you the most bang for your buck if you don't mind fronting a little in cash. In the above example, you can pay $125 in cash + 12,500 in points per night. This is an awesome value to snag this $500+ room for just a little bit of cash and points. If you stay for 3 nights, the normal cost would be $1,575. Subtract the $375 you pay in cash, and the value of your points would come out to 3.2 cents per point. 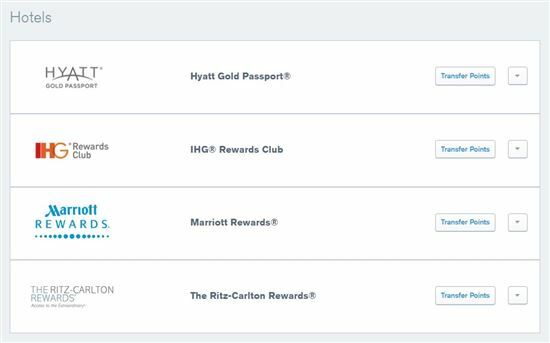 Don't: Hyatt also lets you redeem points on their dining, spa, and resort activities, but the value of the points is only about 0.5 - 0.8 cents per point. We only recommend redeeming your points for free nights and save your cash for the hotel extras. See Hyatt's free night award chart. Interested in earning more points? Apply for the Chase Sapphire Preferred and start earning points fast. Point redemption starts at 10,000 points per night for a Category 1 hotel and up to 60,000 points per night for a Category 11 hotel. IHG also lets you combine cash + points. For example, for a Category 5 hotel, you can pay 30,000 points, or 25,000 points + $40, or 20,000 points + $70. Do: Keep your eye out on BreakPoints® deals, a bimonthly deal where IHG releases rooms in certain hotels at only 5,000 points per night. But if you see something you're interested in, you'll have to act fast, as the availability is limited and they go quick. For example, for October 2016, there are deals available in Brazil, Honduras, and Mexico. Don't: Aside from lucking out with a BreakPoints® deal, in general, we don't recommend using this transfer partner. The points conversion is not great and is often valued at far less than 1 cent per point. For example: the Crowne Plaza at Times Square Manhattan goes for $274.40/night for a random date in April 2017, but costs 50,000 points. That puts the value at only 0.55 cents per point. Marriott properties are structured from Category 1 (7,500 points/night) to Category 9 (45,000 points/night). Then there are Ritz Carlton hotels that go from Tier 1 (30,000 points/night) to Tier 5 (70,000 points/night). And if you use points to book 4 consecutive nights, you get the 5th night free. Do: Marriott occasionally offers PointSavers rates, where you can book nights at a hotel for the number of points of the hotel category below it (i.e., you can book a Category 5 room at a Category 4 rate). So be sure to check if any Marriott properties in the city you're visiting are offered at a PointSaver rate. Or you can check the calendar availability if your time is flexible. Using your points to book 5 nights will get you the best value, as the 5th night is free. Don't: Marriott is not our favorite use of Chase UR points either. In our opinion, Marriott points are only valuable if you have the Marriott Rewards Premier card from Chase, as you rack up the Marriott points a LOT faster, thus making each point worth more. Transferring it 1:1 from Chase will rarely get you a value of over 0.8 cents per point, unless you're looking at Category 1 & 2 hotels. Tip: Let's look at a PointSavers example: For December 1st to 19th, 2016, the Renaissance Aruba Resort & Casino (a Category 8 hotel) is participating in the PointSavers. You can book a 40,000 points/night room for 35,000 points. Add in the 5th night free, you're spending 140,000 points for 5 nights. At a normal rate of $255/night, this is only a value of 0.91 cents per point. See the Marriott rewards chart. Point redemption starts at 30,000 points for Tier 1 and goes to 70,000 points for Tier 5. And if you use points to book 4 consecutive nights, you get the 5th night free. One thing to beware of: because Ritz Carlton falls under the Marriott brand portfolio, you can't belong to both programs. You can, however, change your membership from one to the other within the same account and keep your point balance. The difference is that there may be some promotions from time to time for the different programs. Ritz Carlton Rewards also participate in the PointSaver program (a Tier 3 hotel will only require 40,000 points instead of 50,000). But just like with Marriott Rewards, we don't particularly recommend that you use this transfer partner, as the redemption value is equally poor. Transferring to United as they never charge a fuel surcharge. Take advantage of its Excursionist Perk to visit more destinations for no additional points on qualifying multi-city trips. In general, aside from Hyatt (which is a great value when redeeming for free nights), we don't recommend using the 3 other hotel partners as the value of the points are relatively low. You don't want to throw your hard-earned UR points down the drain. Transferring points to airline partners is almost always the best value, especially if you can take advantage of stopover and open-jaw policies. Just watch out for high fuel surcharges on certain transfer partners. Wait, how about other carriers? Do you like to fly American? Book award travel on American Airlines using a OneWorld alliance member such as British Airways. Remember, you don't pay fuel surcharges if you stay within the western hemisphere (essentially traveling in the Americas). Do you like to fly Delta? Book award travel on Delta using a SkyTeam alliance member such as Air France. 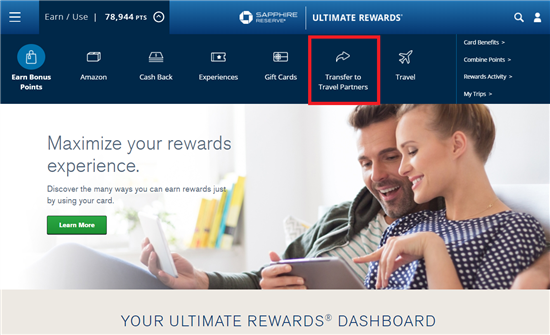 Or if you have the Chase Sapphire Preferred, you can book travel, on any airline, by redeeming your points on Chase Ultimate Rewards (Chase's online travel portal). You'll receive a 20% discount when you redeem points toward travel using Chase Ultimate Rewards. For example, if you book a $500 airfare using Chase Ultimate Rewards, it would only require 40,000 points. It's easy. First apply for the Chase Sapphire Preferred. Once you have the card, log on to your account and select Transfer Points to Transfer Partners. For many partners, points transfer instantly. Leave a comment about Best Chase Ultimate Rewards Transfer Partners?